Rotork is pleased to announce the acquisition of Valco Valves and Automation AS, its long-standing sales and service agent in Norway. 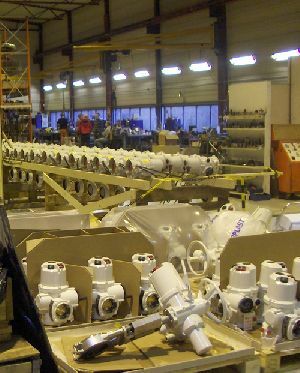 Valco Valves and Automation, which will now be known as Rotork Norway, has over thirty years’ experience of the valve actuation and control industries, encompassing sales, servicing, maintenance, repairs and total valve management. Based at a 900 square metre workshop facility in Agotnes near Bergen, the business is particularly active in the offshore topside and subsea oil and gas industry. Rotork is the world’s leading designer and manufacturer of industrial valve actuators, valve control systems and valve accessories, as well as being the leading actuator service company. The acquisition enables Rotork to further develop its involvement in the important Norwegian market through increased sales and service offerings for its electric and fluid power actuation products, control systems and valve accessories.